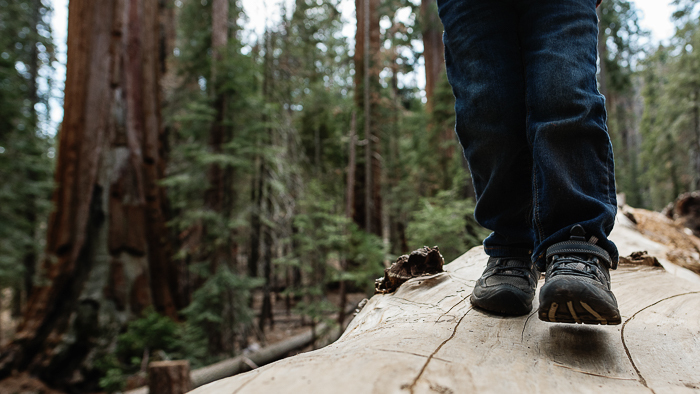 What is roadschooling? 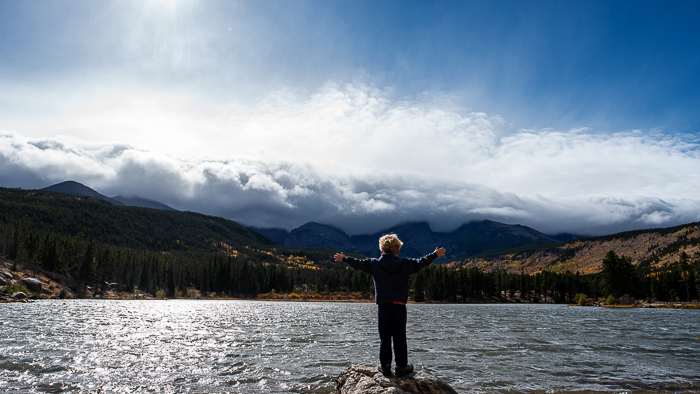 How do children learn while full-time RV living? I need help learning how to homeschool while RVing, where should I look? If you’ve asked these questions, then you’ve come to the right place. Most full-time RV living families consider their home education style roadschooling, a way of homeschooling that at least in part utilizes the unique benefits of traveling in a child’s education. The Merriam-Webster definition of ‘homeschooling’ is – to teach school subjects to one’s children at home. Members of our Fulltime Families organization vary in their styles of educating their children on the road. Some families homeschooled prior to hitting the road, while others started their homeschool journey once they began RVing with their kids. We hope to help you make that transition easier by answering some of the most common questions regarding how to start homeschooling while traveling. There are a variety of homeschool philosophies and styles. While it is important to learn about them and decide on one prior to beginning your homeschool journey, it’s also important to keep an open mind as children grow and change and you acclimate to your new lifestyle. School at home is exactly what it sounds like. Parents teach from a packaged homeschool curriculum while children sit at a desk or table during specific hours each day. The curriculum generally is either a traditional format, similar to public school or a classical approach, which is liberal arts and history based. The Well Trained Mind by Susan Wise Bauer is an excellent book to read to learn more about the classical approach. Some advantages to this style are that parents often feel more confident teaching from a curriculum, and in the case of a traditional format, it feels familiar to those who have attended school. It also has the benefit of feeling like the child is staying on pace with other children their age, making reintroduction to school easier. On the other hand, packaged curriculums don’t accommodate different learning styles and school at home is not conducive to taking advantage of the opportunities that arise while traveling. Additionally, this approach generally requires a lot of books, which are heavy and difficult to store in an RV. Charlotte Mason is the most common form of literature, or living books, curriculum used for literature-based homeschool styles. It emphasizes quality books, nature study, and art. There are a variety of curriculums based on Charlotte Mason’s teachings, both free online and available for purchase, religious and secular. Jim Trelease’s Read-Aloud Handbook is a great book for all parents to read, and especially those considering a literature-based approach to education. Even math can be literature based by using the Life of Fred series. Some advantages are that various ages can learn together, it is flexible, and can be adapted to individual interests. However, it is book-heavy and doesn’t follow a traditional scope and sequence, potentially making it more difficult to enter public school later if that is a goal. Children listen to a story at the Fulltime Families Showbiz Rally. A unit-studies based approach to homeschooling or roadschooling involves teaching children with all subjects on one topic. History, English, Math, Science, Art and more are all based on a book, field trip or topic of interest. Unit Studies are often used by roadschool families because they can base all learning on a location they are visiting. Unit Studies generally allow for a lot of child-directed learning and don’t require a lot of books at a time. 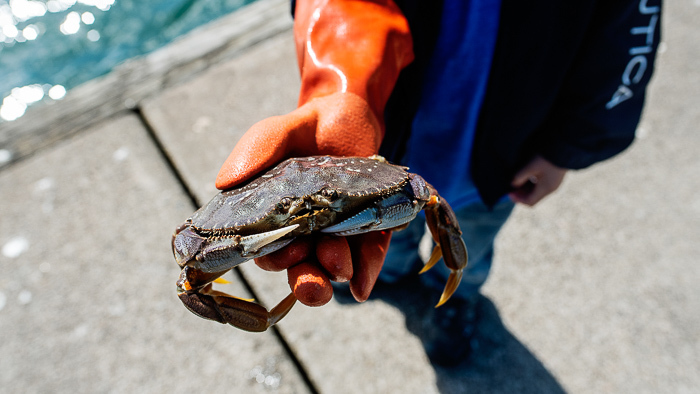 Children often use more of the internet, field trips, documentaries, and art supplies. Unit Studies allows children of different ages to work on the same topic at different levels. Some parents don’t like it because it requires a lot of preparation by the parents, which can be difficult for families who wish to follow a traditional scope and sequence. There are pre-packaged literature-based unit study curriculums, such as Five in a Row, for those who want to base their schooling on books instead of locations. Unschooling is a form of homeschooling and learning approach without coercion and completely child-directed. Parents provide opportunities and facilitate learning when requested, but children learn naturally and from their environment. The Unschooling Handbook is a great primer on this style of learning. 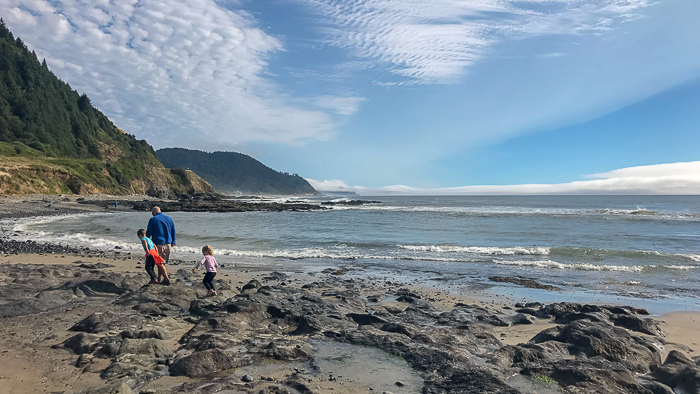 Unschooling is particularly well suited to full-time travel because the environment is constantly changing, with new things to learn at every move. 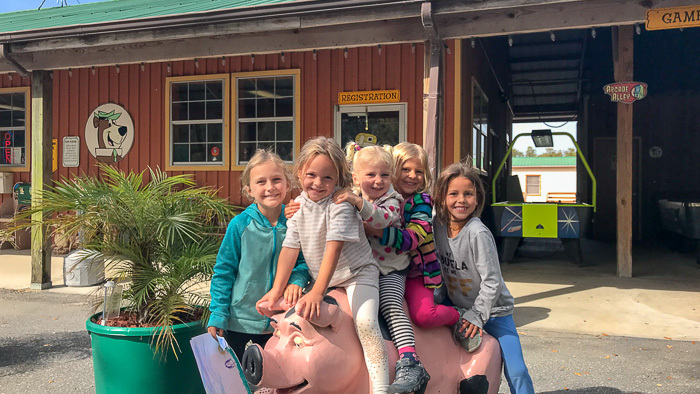 Also, when living in an RV children are usually more a part of the day to day running of the home, which provides natural learning through repairs, cooking, trip planning, and more. Unschooling requires parents to trust that their children will learn all they need to without instruction or coercion, which can be hard. Some families use unschooling in elementary school and then switch to a more structured approach when nearing high school. A high school student helps repair her RV. Taking an eclectic approach to homeschooling is a combination of a variety of styles that we’ve mentioned above. Some subjects may be traditional while others are literature-based. At times you may use unit-studies, while during busy times you may choose to unschool. This style is great for roadschoolers because you can relax and allow your environment to determine your style. If you are stationary for a month in a place with not a lot to do, you can do literature-based unit studies. The next month when you are surrounded by friends and activities, you can use a less structured and unschooled-like approach. Enrolling your children in a form of online school, or online homeschool, is a way to make sure that they meet state standards while still being able to travel. Many parents would argue that if you do have your child enrolled in online school full-time, that you are not exactly ‘homeschooling’ or ‘roadschooling’ them. In some cases, they might be enrolled full-time in a public or private school online within the state that they have residency. 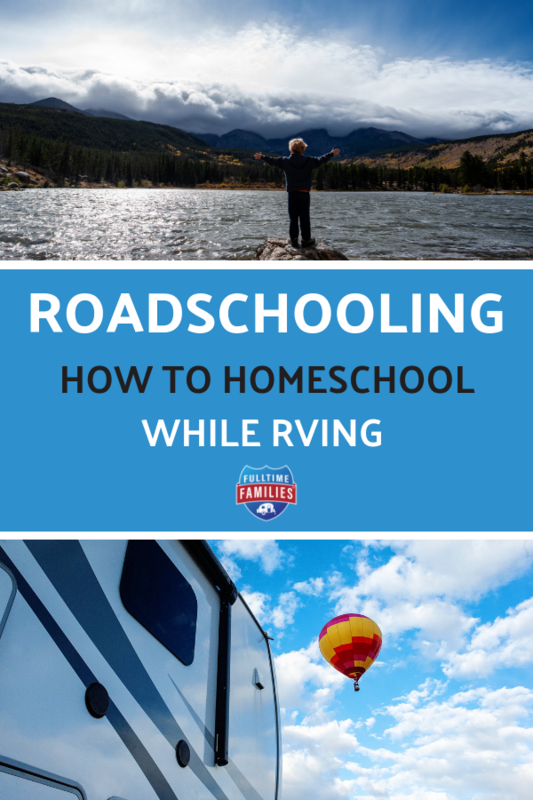 Due to the flexibility necessary when living a full-time traveling life, roadschoolers are more often than not eclectic homeschoolers. Those who chose a school at home approach often fit the traditional subjects into four days of studying, leaving one weekday for field trips or travel. It is important for each family to decide what style works best for them and to be willing to reevaluate and make changes as needed. Regardless of the style chosen, deschooling, a period of time similar to unschooling, but with a specified end, is an important precursor to any shift from school to homeschool. It’s especially important for families who are simultaneously transitioning to an RV lifestyle. The rule of thumb is one week of deschooling for each year of traditional school, where you live like you are on summer vacation. Every state has different homeschooling requirements and laws. Depending on which state is your residence, you will need to follow the guidelines required. Some states do not require any reporting at all, while others require yearly testing and monthly grading. 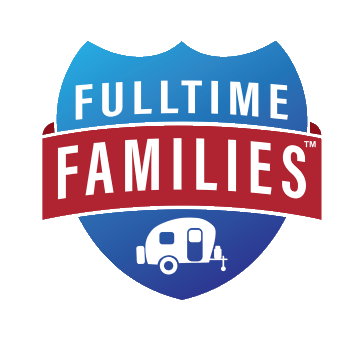 Many fulltime families chose Texas or Florida for their state of domicile because they are full-time RV living friendly and have beneficial homeschooling laws. While Texas has no requirements, Florida allows enrollment in umbrella schools which only require parents to report attendance quarterly. Both states have online course options for elementary through high school, as well as an opportunity for high school students to take college classes for free or a reduced rate. The Homeschool Legal Defense Association recommends following the laws of any state you will be in for more than a month, but make sure you research both your state’s laws and the laws of any state you will be in for more than a couple weeks. Each state has different rules regarding diplomas. Some homeschoolers take college courses beginning in high school, and while some colleges want to see a diploma from a school most are willing to evaluate homeschooled students on other criteria. If you have a child approaching high school with a dream of a specific college or military academy you should research their requirements. 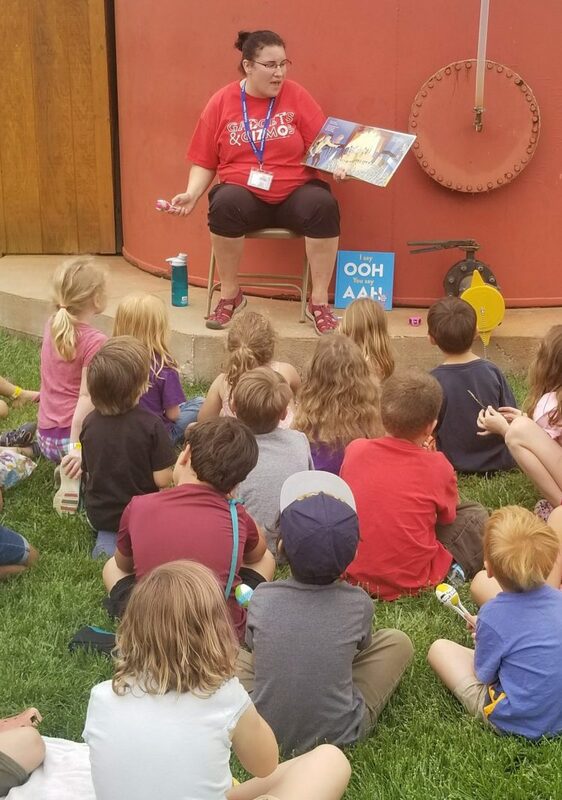 Most RV families invest in a museum or zoo reciprocal membership to allow frequent visits to locations across the country, a National Park America the Beautiful pass, and a Fulltime Families membership, which will provide opportunities for events and field trips with other families. Books will be necessary regardless of style, but you will often find quality options at used book and thrift stores or digitally on a Kindle or e-reader. It can be helpful for each family member to have access to a laptop computer or tablet for online learning and reading, but even an inexpensive Fire tablet can be an effective choice. As a member of Fulltime Families, you will also have access to the private and very active Roadschoolers Facebook Group. 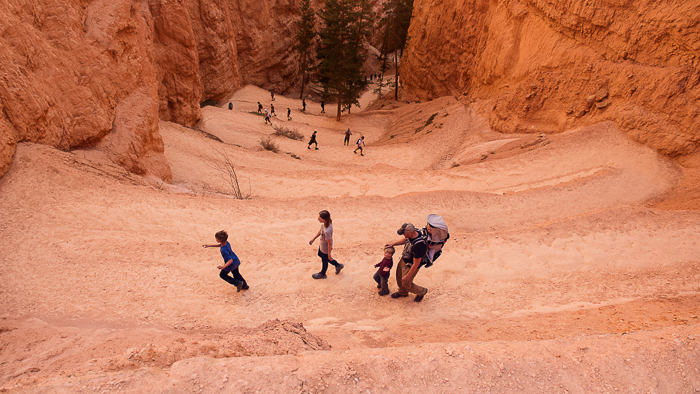 When and where traveling families roadschool varies greatly. When one parent works from home and the children are small, it can be hard to do it all in under 400 square feet in an RV. Some RV families set up a school area in the bunk room or toy hauler garage so there is a dedicated space away from the central living area. Some children do their school work in their bed or on the couch. Other families gather around the dinette or picnic table after breakfast each day. Many families change it up at times and go to a local library or coffee shop, use the campground rec center, or do school in the vehicle on travel day. Regardless of the style of roadschooling your family chooses, it’s important to remember that it’s different from homeschooling because of the neverending opportunities to learn from the constantly changing environment. National Parks, zoos, museums, nature centers, amusement parks, and even grocery stores can be a classroom! Many traveling families like to call it worldschooling, labeling ‘everywhere’ their classroom. 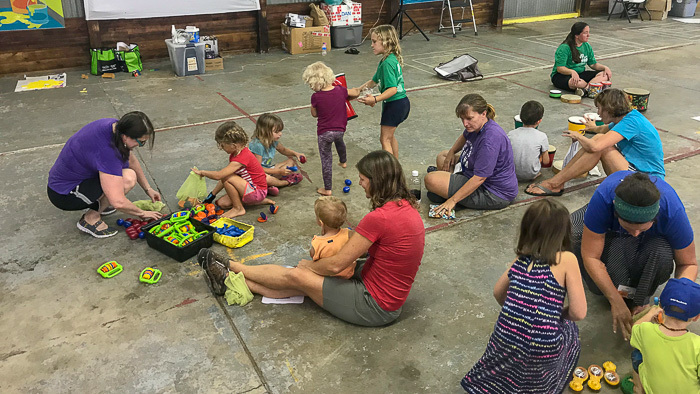 Most families with children will have some supplies from books and art supplies to manipulatives and games. Common storage locations are in the dinette benches, the cabinets above the couch, under the master bed, or in individual backpacks hung in each child’s personal area. Often members of our Fulltime Families Roadschooling Facebook Group will share pictures of where they learn and store their supplies. The group is also a great place to discuss curriculum, technique, field trips and more. Be sure to join Fulltime Families so that you can join the private group and begin planning to meet up with other roadschoolers in person. One of the missions of Fulltime Families is supporting traveling families through a growing and welcoming community. In addition to Facebook groups, we have rallies, hangouts and field trips across the country and throughout the year where families can come together to form their traveling neighborhood. It is during these meetups that families find their tribe and build some amazing friendships. Families often leave a rally or meetup planning to travel with new friends or meet up down the road. Do you want to learn what one women learned growing up roadschooled? Check out her 10 reasons why she loved roadschooling here. Technology allows children to communicate with friends from home and the road through video chatting, email, and online gaming and so much more. Fulltime Families members have access to a dedicated Minecraft server with weekly meetups to play together. 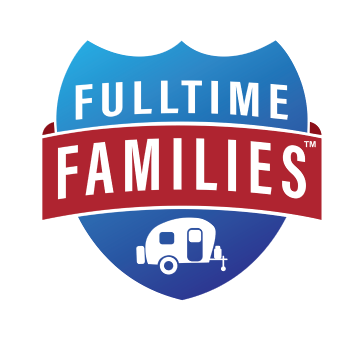 Children who enjoy scouting can join the Fulltime Families DIY group, or participate in our upcoming Explorers program, a scouting program designed for full-time RVing kids. There are even opportunities to learn dance online, through Aistear Mobile Irish Dance Academy. Many Fulltime Families spend the winter in central Florida or southern California, so planning your route to meet up with other families is a great way to form relationships. 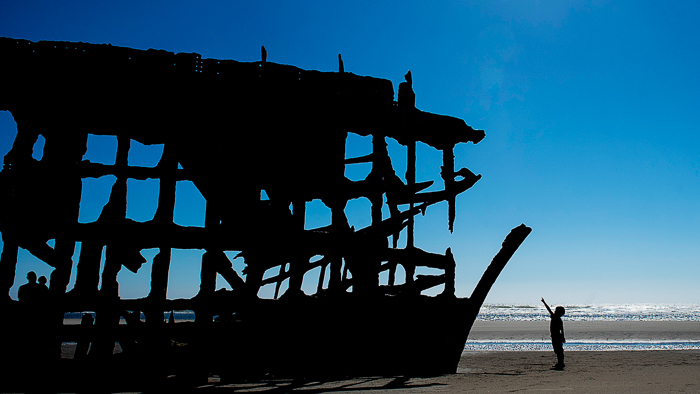 There are also opportunities in towns you travel through. Look into local homeschool groups, churches, community centers and libraries for drop-in activities. 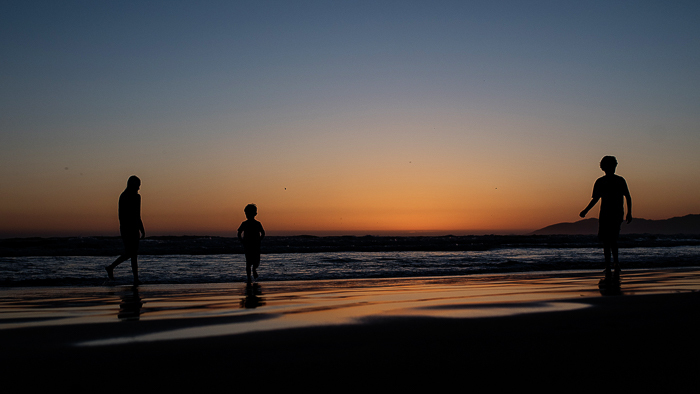 Hopefully, we have answered many of your questions about traveling full-time with school-age children. If you need more answers, would like to be part of a roadschooling community or want to be inspired by other roadschoolers, we invite you to join our Roadschooling Facebook Group and check out our Roadschool Guides below.